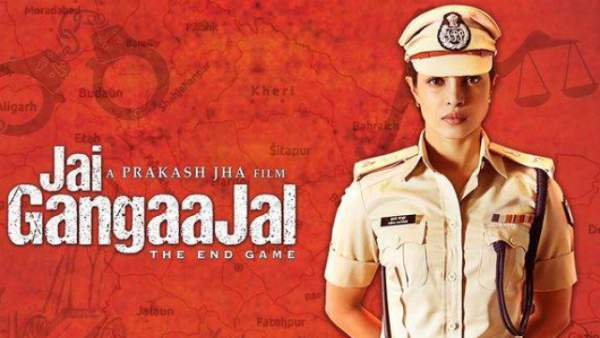 Jai Gangaajal Movie Review Rating: Prakash Jha knows his work very well !! Jai Gangaajal Movie Review Rating: When we talk about Jai Gangajal, two things comes first in our mind. First are the lead cast who are Priyanka Chopra and Prakash Jha and the second is the viewership of the movie. Obviously its not a type of movie produced to watch with your spouse, rather its a movie which will attract very much specified audience who loves films with extraordinary stories. Its a well known fact that the movie was in controversy during the last month because of some political issues. After fighting out everything resolved, Jai Gangajal will release today. Priyanka Chopra is playing a role of a senior police officer who is frustrated from licking boots of politicians. How she plans out a plan to execute the proper way so that they can gain the trust back with the public. Priyanka Chopra’s acting would be the centre of attraction in the movie. In the role, she would be seen the totally different form. The shooting of the film is done in Bhopal. Being one of the low budget Bollywood movies, it was directed specifically in a way to target the audience in villages and towns. Read: Kalyana Vaibhogame Movie Review. Prakash Jha himself is Director, Producer, Writer and Actor in the flick. There is a special connect in the film despite having very much connected stories like Singham and Jilla Ghaziabad. Dialogues are really epic and cent percent original work can be seen. Almost everything in Jai Gangajal is very much balanced for the audience of Uttar Pradesh and Bihar (Including other states of North India). Jai Gangajal Review: Worth every penny spends conditionally one loves to watch these type of movies, otherwise it would be a time pass deal. The movie will do better on the small screens than on the box office. 3/5 Stars for Director and Actors. 5/5 Stars of Dialogues. Stay tuned for detailed news and updates. Don’t forget to share your reviews and see what others have shared below. Priyanka Chopra superb acting. Love you. Jai Gangajal ìs an upcoming Bollywood action drama film. Directed by Prakash Jha. It is sequel of the 2003 bollywood movie Gangajal and starres Priyanka chopra in the lead role with jha appearing in supporting role.